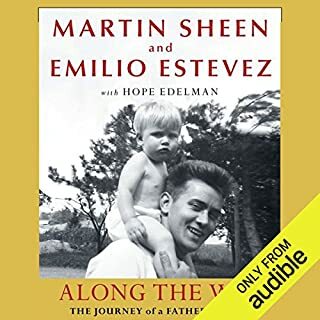 What did you love best about Along the Way: The Journey of a Father and Son? It's a story about profound love and real lives. It reminds me of the connection that I have with my family and makes me wonder about causes and effects. It's not always easy to be wise amidst the confusing times we live in but I am glad there are testimonies such as this from fellow journeyers that help light the way. What was one of the most memorable moments of Along the Way: The Journey of a Father and Son? The best is when they talk about their respective fathers as opposed to talking about themselves. It's fascinating. Which character – as performed by Martin Sheen and Emilio Estevez – was your favorite? 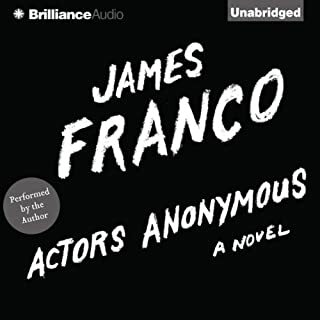 The actors in James Franco’s brilliant debut novel include a McDonald’s drive-thru operator who spends his shift trying on accents; an ex-child star recalling a massive beachside bacchanal; hospital volunteers and Midwestern transplants; a vampire flick starlet who discovers a cryptic book written by a famous actor gone AWOL; and the ghost of River Phoenix. Then there’s Franco himself, who prowls backstage, peering out between the lines - before taking the stage with fascinating meditations on his art, along with nightmarish tales of excess. Would you try another book from James Franco and/or James Franco? Of course. Even Shakespeare wrote a few clangers. Has Actors Anonymous turned you off from other books in this genre? Nope. There might be a gem in there somewhere, I just haven't encountered one yet. Did James Franco do a good job differentiating all the characters? How? Were there other characters? It was all too monodull altogether. PS: In my opinion, James Franco is an excellent actor but it would take the Holy Spirit to bring this book to life. I respect James Franco for trying. He's very handsome. Perhaps James Franco should take his audience more into account the next time he writes a book. Junky films are one thing - they're easy to watch and wash off, but junky books are another. They're not as forgivable. I don't like discovering that I have wasted time,effort, imagination, and understanding into worthless, self-absorbed crap that ultimately takes me for a fool. No, thank you. Twinkle, twinkle, it's a STAR! I couldn't stop listening. I was hypnotized. The narration was so good, I hardly noticed it. Download it. Your imagination will thank you. In Broken Harbour, a ghost estate outside Dublin - half-built, half-inhabited, half-abandoned - two children and their father are dead. The mother is on her way to intensive care. Scorcher Kennedy is given the case because he is the Murder squad's star detective. At first he and his rookie partner, Richie, think this is a simple one: Pat Spain was a casualty of the recession, so he killed his children, tried to kill his wife Jenny, and finished off with himself. Darned gripping yarn that gets the cognitive skills chugging. 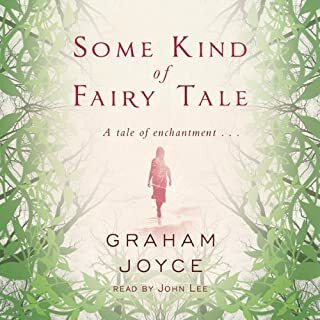 Romantic Ireland might be dead and gone but it leaves in its wake a great whodunit. Have you listened to any of Hugh Lee’s other performances before? How does this one compare? No idea who Hugh Lee is but this guy is an absolutely terrific reader. He's a one-man cast of regional, social, and gender accents. I wish I could read out loud like this. Sly story in crafty times. Get Hugh Lee to do more readings.